It’s time for a new ERP system! Your ERP project is off to a great start! You have a team with a team leader, your decision makers are on board and a budget is in place. Online research, discussions with others about their ERP experiences, a partial list of must have features and functionality, and general goals for the new ERP system are underway. What about industry best practices? 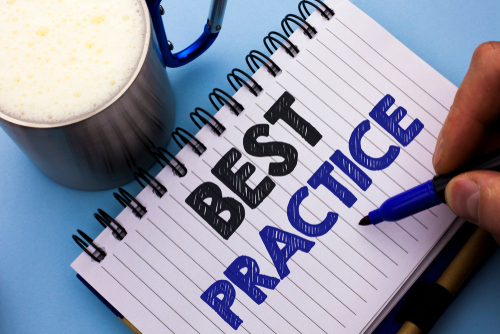 You’ve heard ERP vendors touting that their systems incorporate best practices into predefined processes, and some of your team members have been gaining an understanding of best practices for your industry. It would make sense that incorporating best practices could simplify your ERP project, why reinvent the wheel? Not so fast! Just because a particular ERP system or best practices are ideal for one business does not mean they are the best for your business. Lets take a look. Wood’s 9 key practices support his goals as well as the mission and vision of Toyota Motor Sales USA. In effort to be the most successful car company in America, Wood expects associates to be educated, engaged and empowered to make changes. Plus, customer input is sought after and valued as the opinion’s of Toyota’s drivers are important to the brand. Next, we have a list of best practices for another industry, also in the manufacturing sector. Our second list, even though also considered best practices is different because it comes from a highly regulated industry, that of the pharmaceutical industry which is regulated by the U.S. Food and Drug Administration. One could argue that all industries should have a strong quality management system, high quality products, reliable testing, etc. but pharmaceutical companies need to take those requirements to a higher standard that most manufacturers. If you would like to learn more about Epicor ERP and which industry best practices will help you meet your business goals, contact MIS. MIS is the longest standing Epicor ERP partner, and as a Platinum tier Epicor ERP partner you can count on MIS to have the experience and insight needed to create an ERP system helps you exceed your business goals today and tomorrow. Our team of professional consultants have been helping manufacturers like you create ERP solutions resulting in an Exceptional ERP™ experience for over three decades! Contact the experts and MIS today!